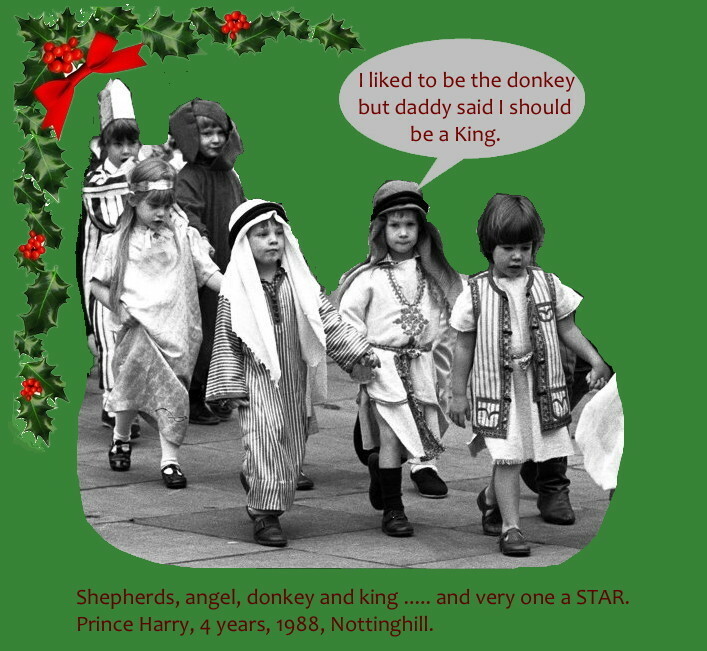 The Kinder Nativity Play when … a STAR … a king, a donkey or an angel … is born! I wrote this when my daughter was in the kinder nativity play. And that was in 1993, over 20 years ago! But little has changed from the delightful yuletide chaos known as the kinder Nativity Play. No Stephen Spielberg, Fred Schepsi or Peter Weir could bring to life a story bursting with the tinselled excitement or wide-eyed wonder of that choreographed chaos known as the Kinder Nativity Play. The job of feverish direction rests with an experienced kindergarten teacher. And the play has become a cherished Christmas tradition of cherubic grins and dimpled mayhem. The first problem facing the director involves casting. Kinder kids can be very definite about the part they wish to play. They want a good line. And that line is often ‘Baa’. The kinder teacher is then left with the problem of putting on a nativity play with 25 sheep and no one else. After much begging, pleading and coaxing she can muster one sulking Joseph, a radiant freckled Mary -who is allowed to wear her patent leather shoes and a brides veil – and a donkey, if they can wear the donkey suit. This entry was posted in Articles and tagged angel, Christmas, concert, donkey, end of year, funny, Kinder, kindergarten, kings, nativity, parents, play, school, star, wise men by Kerry Cue. Bookmark the permalink. It is fabulous to hear from you. There is so much controversy about putting on religious plays it is a delight to publish a comment about the hilarious mayhem of the old tradition. You only have to look around you to see that Christmas is a tradition in this country so why not have fun with it? If you ever wanted to write a short piece on your experiences go to our Sibyesque blog (See side bar). We’d love to hear from you.